Packs all the features of larger metered dispensers. 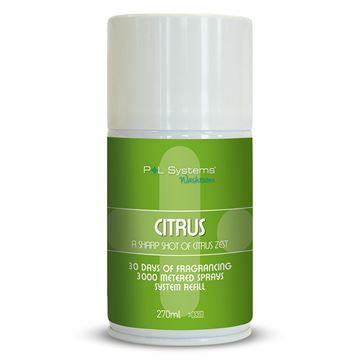 Program desired spray at 15, 30 or 45-minute intervals. 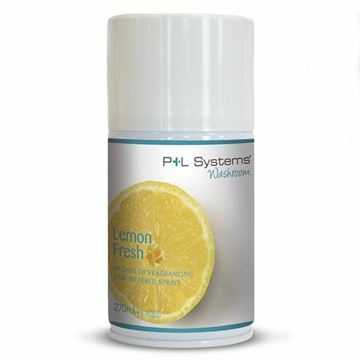 P&L Systems premium air fresheners are uniquely blended pure premium fragrances with odour counteractant that eliminates odours and leaves the air fresh, without CFC's or ozone depleting substances. The citrus fragrance is a sharp shot of citrus zest, delivering a punchy hit of refreshing citrus flavours to washrooms and problem fragrance areas. 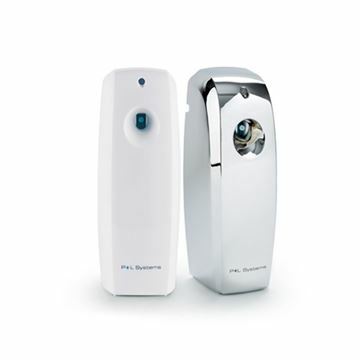 P&L Systems premium air fresheners are uniquely blended pure premium fragrances with odour counteractant that eliminates odours and leaves the air fresh, without CFC's or ozone depleting substances. The mango fragrance is an intense mouth-watering fruity mango fragrance that delivers a high level of intensity. 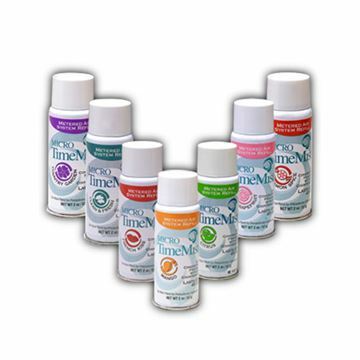 Great selection of quality air freshener fragrances for the 100ml P&L Systems Dispensers (W16464). Petite but punchy, the Micro range includes your favourite Classic range fragrances in a compact 100ml design, delivering fantastic fragrances into discreet or space conscious environments. The extensive choice of fragrances ranges from mouth watering green apple to the clean smell of fresh linen, summer florals to zesty clementine.